This CD is a compilation of original and traditional folk songs. The original songs interweave poetic images with delightful musicality. Some of them tell stories, a few invite movement, while others celebrate peacefulness. Children love them. 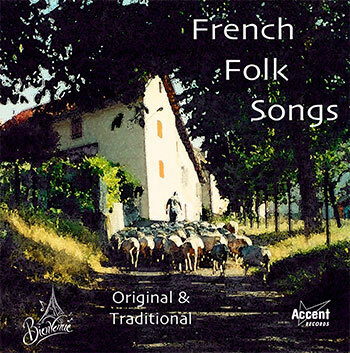 The traditional songs are little known and have been chosen for their beauty, evoking the soul of the French countryside. Two enchanting medieval songs are included. © Global Recording Artists. All Rights Reserved.